Replicape rev B Kickstarter is live! The wait is over, folks! Replicape revision B is now live on Kickstarter! 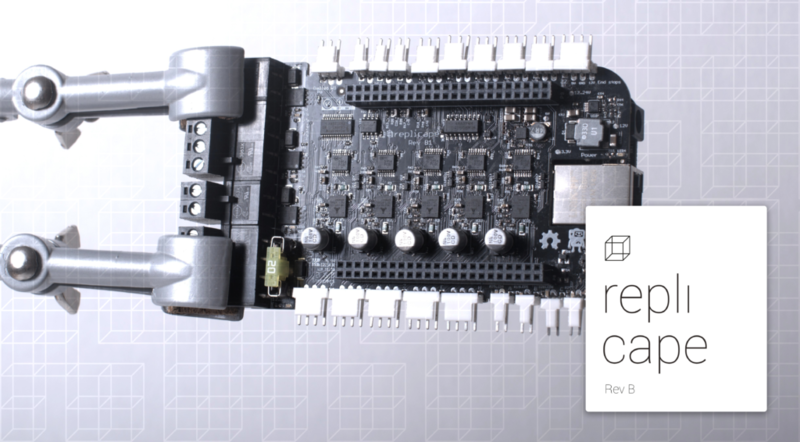 If you are reading this on Thing-printer.com, you probably know about Replicape, and are mostly interested in what's new with Rev B compared to Rev A! Here is an overview. In more human readable form, the most important update is the new stepper drivers. TMC2100 are slightly less powerful than the old DRV8825s, but offer a few advantages. There are now 8 different configurations for the decay modes, as well as the option of interpolation of micro stepping up to 256. 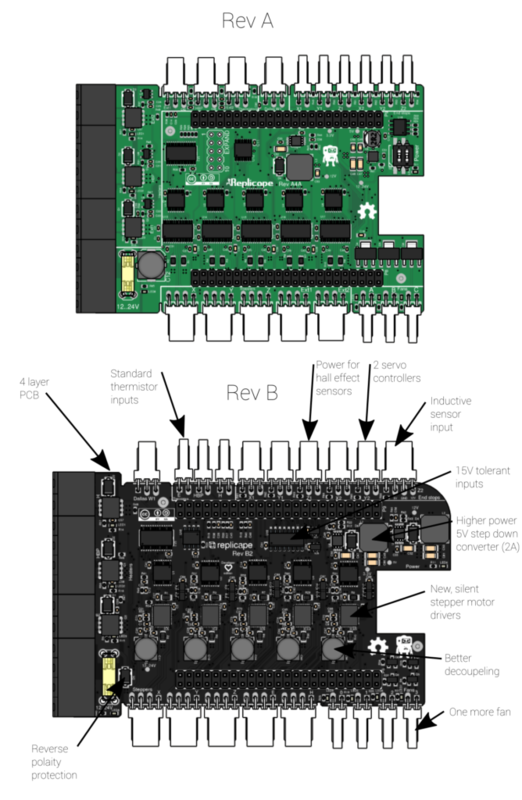 In combination with a four layer PCB and a better stepper driver layout, this makes the driver more suitable all around.